Although FIFA 19 is now available with loads of new features, valuable FUT upgrades, and many other changes, one thing that hasn’t changed for years is the appearance of problems of FIFA 19, preventing you from enjoying the game. While there are some errors out of your control, you can still fix many of them yourself without having to do much work. Common problems of FIFA 19 include missing FIFA 19 FUT packs, connection issues and other bugs in the game. For example, there is an error out of your control that is the “We are sorry but there has been an error connecting to FIFA 19 Ultimate Team” message on your PS4 and PC when opening the game. It’s a frustrating problem for many players and still remains the issue until now. In this post today, we’ll show you a rundown of the FIFA 19 problems as well as solutions to fix them so that you can keep enjoying the FIFA 19. While it has not been a popular problem, there are many reports from users who cannot download the game, or who only get the standard version instead of Champions. If it happens, you will not be able to play the game early. Press the Xbox button on the controller to go back to your Home screen. You can also say “Xbox, return home” on your Xbox. Pull the right button to scroll down, and the press A button to open My games & apps. Highlight the game that you have an add-on, and then press Menu button on the controller. Scroll right down to the Ready to Install section. Highlight the game content for installation, and then press the A button on your controller to start installing. If you are using a PS4, you can then check if there is an option to download the Champions Edition available. However, make sure you purchase the right one. If you see the download is too slow, pause it and restart downloading it again. If your PS4 is out of space, you need to clear the memory first by deleting older games. The installation problem will occur if your device is running out of space, or you are trying to install the game on an external drive. To fix that issue. First, restart your console or computer before doing any else. Even when there is an error with the disk, a reboot might also help you solve a lot of problems. If the above method does not help you, you should clean out your storage to get more space for the game installation. We recommend you to install the game to the internal storage instead of an external drive. Another thing you can do is to clear the local game cache. However, make sure to back up your saved games and then follow these directions. Navigate to Settings -> All Settings -> System -> Storage and choose Clear local saved games option. Once done, continue going to Settings -> All Settings -> Network, click on Network Settings and choose Go offline. After that, restart your Xbox One. Next, just insert your FIFA 19 disk and start the installation and install updates. If you use PS4, simply clear the cache. To do so, switch your PS4 off, unplug it for a couple of minutes and plug it back in. If it still fails, you should delete FIFA 19 and reinstall the game. If you receive a notification while playing FIFA 19 on your computer, you will the be disconnected from the match. Although this problem is very annoying, you can fix this issue with Windowed Borderless mode. Here is what to do so that notifications on your PC cannot disconnect you from a match in the game. Restart your console, your router, modem. Put the router near your console. If those steps cannot fix the issue, then you should get more involved. There is a useful guide from EA that you can follow to find ports and check other parts of the network. EA allows users to transfer FIFA 2018 Points to FIFA 19. While this is a onetime process, you must complete it before the end of 2018. 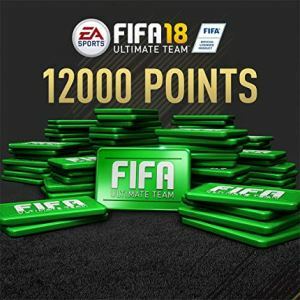 Since it does not allow you to send your points back to FIFA 18, so you should consider carefully before doing so. For the first time login, there will be a prompt for transfer, but you can also do so later. One more thing you should note that you can only transfer your FIFA points to the same console, no jumping platforms or transferring from PS4 to Xbox One. 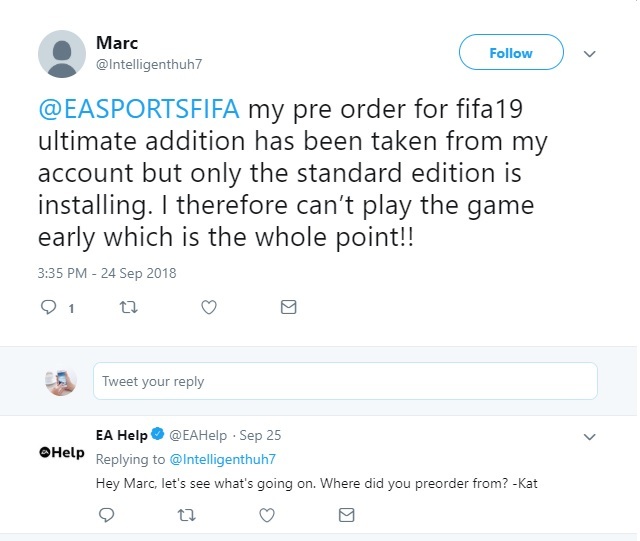 If you face problems you should contact EA and then create a support ticket. Some players have reported that when they were playing FIFA 19 Pro Clubs, there was an error message “An error occurred and your online stats reporting failed” after a match. However, there are also other reports saying that this cannot fix the issue completely, instead, you need to change the pro position. However, this method has not been confirmed yet to fix the problem for all users. These are common problems with FIFA 19 as well as their fix. If are facing other troubles, let’s know in the comment below, we’ll try to find out solutions for you.